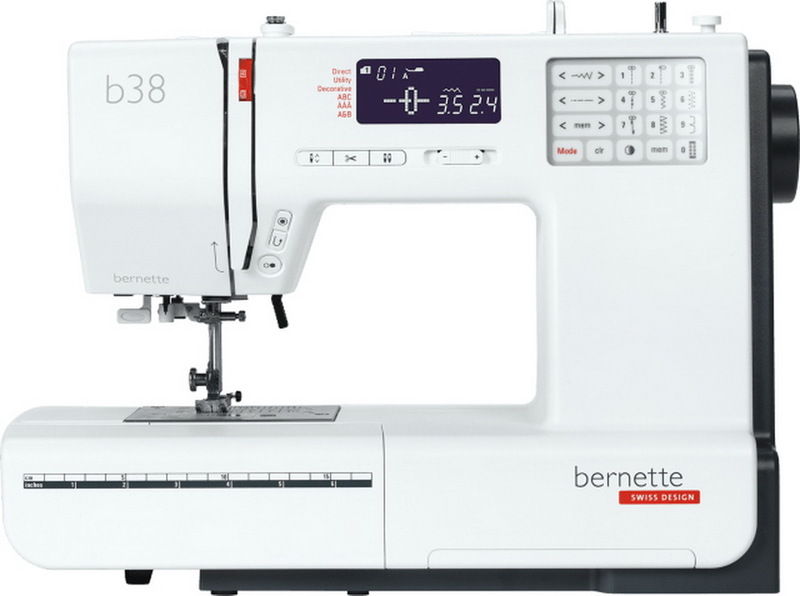 Bernette B38 has what it takes as a top model of the series because it is a computerized sewing machine. That means you can store your chosen combination of patterns and access them later via its memory function. Your choice of stitch width and length can also be pre-set. It has an automatic limitation for double needles and there is no need to reach out for your scissor because it is equipped with an automatic thread cutter, by just pressing the button. How convenient that can be! It is even more advantageous because a manual mode is still in place. Moreover, it has a speed regulator which can be adjusted in the speed control button and an energy-saving LED sewing light. Besides, it has a stretch stitch for elastic fibers apart from its 394 different stitches with 67 decorative ones. Isn’t this awesome? 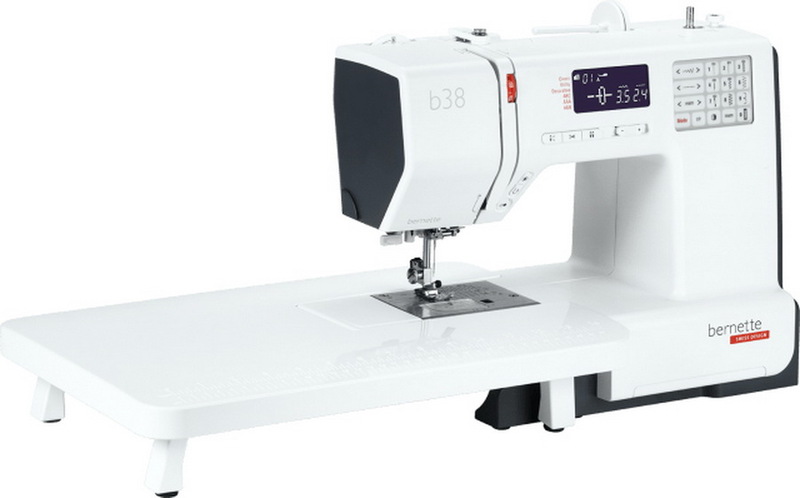 Add into that, this super sewing machine has three alphabets and has eight different one-step buttonholes. 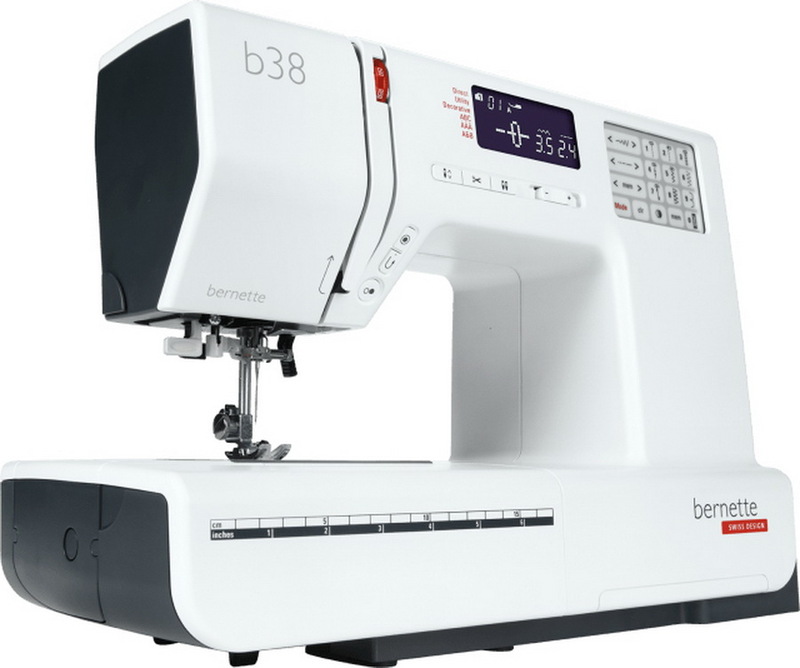 Bernette B38 also comes with an adjustable presser foot pressure to suit the material you are stitching. This is of particular advantage with lightweight and thin fabrics. Likewise, the eight presser feet with stable foot shank will give you ease to sew different stitching types – be it zigzag, satin and the like. You can do this by simply selecting the type of presser foot in the LCD. 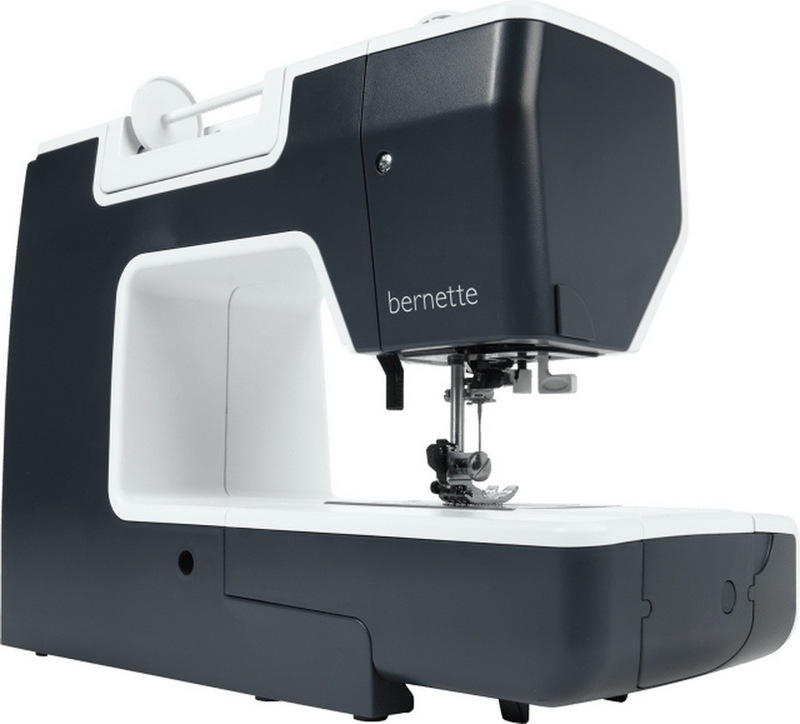 With this feature, plus the Bernette 38’s rated speed of 820 stitches/minute, your productivity is dramatically increased as you can finish your projects at less than the time required with superb stitching quality. 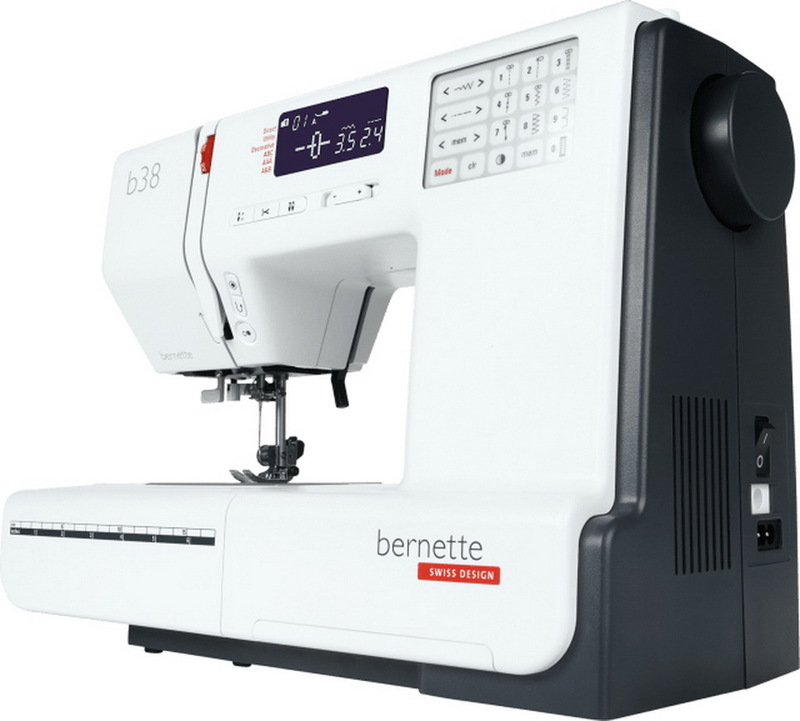 Though it has lots of amazing uses, Bernette 38 has no embroidery function, a bad news for those who love to do embroidery projects. 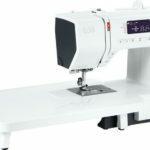 This advanced sewing machine is truly promising as it produces a sound pressure lower than 75db(A), with minimal noise compared to other noisy sewing machines. 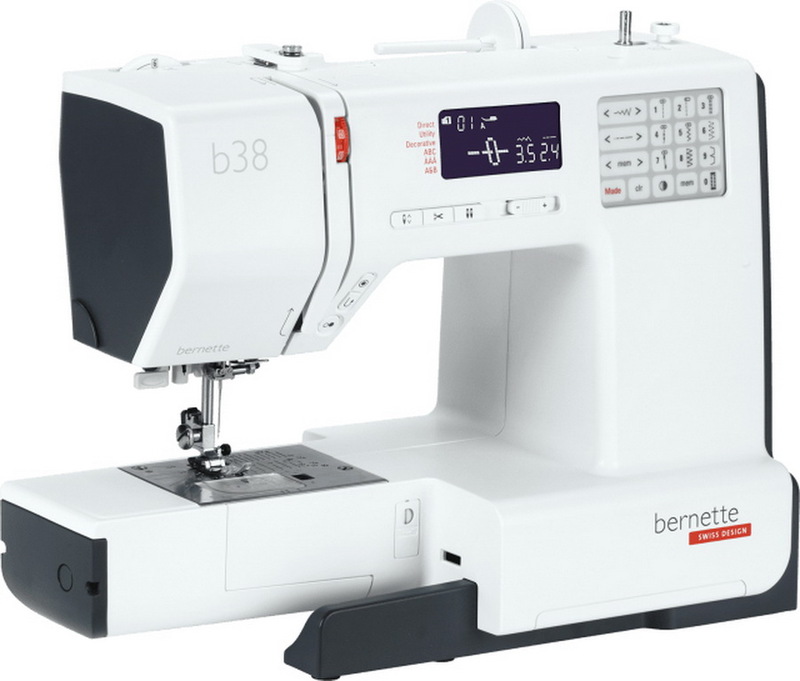 With its easy-to-use interface, Bernette 38 is perfect for beginners. Thanks for reading and you are welcome to leave your comments by registering or logging in here.